Oops, they’ve done it again. 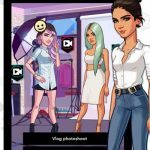 In that case, the pun was definitely intended, because Glu is back with another celebrity-themed game, following the company’s games featuring the likes of Katy Perry, Kim Kardashian, and Kendall and Kylie Jenner. And as you may have guessed, the game we’re referring to is Britney Spears: American Dream, which is Glu’s latest celebrity game for Android and iOS. In this game, you will be making hits and climbing the charts and living the pop star fantasy with Britney Spears herself, and playing at a variety of venues, from the local Starbeans (an obvious Starbucks reference) to international stadiums. 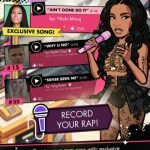 You can also create your own album art, buy new outfits, cars, pets, houses, and musical instruments, and even help your fellow human players out as they do the same for you, starting or joining your own record label. 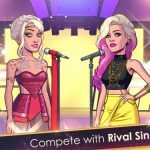 If you’ve played one of Glu’s celebrity-themed titles, then you might not need much help in this game. But since all of those games bring something unique to the table, we thought it would be a good idea to come up with a list of Britney Spears: American Dream cheats, tips and hints, which you can refer to as you start your rise in the world of pop music, from mere nobody to bona fide superstar. All the major events in this game, may they be concerts or even interviews, would require lots of energy so you can perform to the best of your capability. That means you should be patient, and wait for your energy bar to be completely full before you start a concert, take an interview, or do whatever is required of you in a mission. You want to go for the highest number of stars possible, and the best way to do this is to do those things with full energy. Use that energy, and return after about 30 minutes to complete the mission if you ever need more than one energy bar to get things done. You will often have a choice of whether to take on a mission or perform an action that requires less or more energy than another. So what should you go for? We’d strongly suggest that you go for the higher-energy event – an event that costs 5 energy points will always trump one that costs only 2 energy or 3 energy. Think about the stars that you can receive – it’s common, for instance, to get six stars from an event that costs 5 energy, but if you take on 1 energy events, chances are good that you’ll get just one star for all your troubles. Even if you should, in most cases, opt for high-energy events over low-energy ones, you should also be paying close attention to your energy bar and managing it properly. For example, you’ll still want to go for the one or two-energy point mission rather than the one that costs five energy if all you need is one star to complete the mission. Oftentimes, you’ll have to tap on the items you see in the missions. And don’t be afraid to keep on tapping, even if you think doing so won’t have any benefit; it won’t harm you either, and if you’re able to tap on the right item, you could end up with energy boosts, additional money, or other cool freebies that will eventually come in handy. Like in Glu’s other celebrity games, Britney Spears: American Dream has a mechanic where you can earn Style Points. If you want to get more of those points and reap more benefits in the game, you should buy some art if you’re able to afford it. These paintings cost premium currency, but if it’s Style Points you’re after, you shouldn’t hesitate to buy some art. Pets can also be a great help to this end, and while they’re costlier, new pets can, at the very least, make things more interesting for you. If you want to make it to the top, you need a lot of friends. 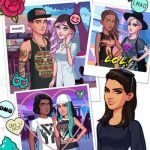 Granted, you’ll meet a lot of in-game characters whom you can add to your friends list as they help you in your quest for pop stardom, but it’s equally important, if not more important, to add your real-life friends to the game as in-game friends. That allows you to sell more singles, and also earn bigger rewards if you loop them into your missions. And those rewards will also increase if your friends have a high enough level. Since we know how annoying it can be when people send mass invitations for games via Facebook, you’ve always got the option to use a dummy gaming account, leave comments on gaming pages with your Star ID, and add friends who also play the game, or wait for them to add you. In this game, record labels function in a similar way to how guilds function in MMORPGs. Likewise, you will want to join a record label as soon as possible, and make sure that you’re joining an active label with lots of artists signed up. Being part of a record label has several perks; for instance, all your singles will be shared with everyone who’s signed on the label, and the members will have to like those singles in order to improve their sales figures. Typically, you should be looking for labels that have double-digit members; the maximum is 50 members, so the more people are there on the label you join, the better. If you want to be a pop star, you should always be aiming to put as many songs on the charts as possible. But it’s not enough that the songs merely crack the charts; you want to top the charts as often as possible, and sell as many singles as you could. Doing that will allow you to earn Ribbons, which are one of the game’s forms of premium currency. With Ribbons, you can buy premium clothes and accessories, which can also be a big help in boosting your Style Points. Now, that we’ve covered Style Points in multiple tips, you may probably be wondering what the payoff is from all those points. Simply put, the more Style Points you have, the more rewards you can collect from completed missions. Remember that Britney Spears is a pop star – like others in her genre of music, she always makes sure to be as stylish as possible. You are trying to succeed in the world of pop, and not as a grunge rocker, so make it a point to prioritize those Style Points if you’re chasing more rewards in this game. One of the most recognizable mechanics of Glu’s celebrity games is back in Britney Spears: American Dream – the option to use your Charm. Charm normally costs one unit of premium currency, and you’ll sometimes be asked if you want to u e it in order to guarantee the success of an action you perform. Save your Charm for those difficult situations where the stakes of making the wrong decision are relatively high. This wraps up our detailed list of tips, tricks and cheats for Britney Spears: American Dream. Stay tuned, as we will publish another guide for the game in the nearest future!